The 2018-2019 yearbooks can be purchased online at www.jostens.com. Eighth grade parents can purchase a memory ad for their child at http://www.jostens.com/yearbooks/yearbook-ads.html. The absolute final deadline for this ad is January 29th, 2019. Yearbook sales have begun! Choose your offer, click and save! 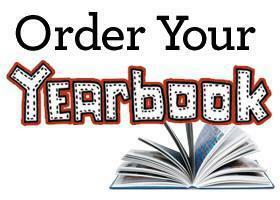 Get your yearbook at the year's lowest price. Order by Friday, August 31, 2018 and you'll get it for only $50.00. SAVE NOW SPECIAL UPGRADE OFFER Order a yearbook, put a name, crest or monogram on the cover and add up to four free icons of your choice. Offer ends Friday, August 31, 2018.